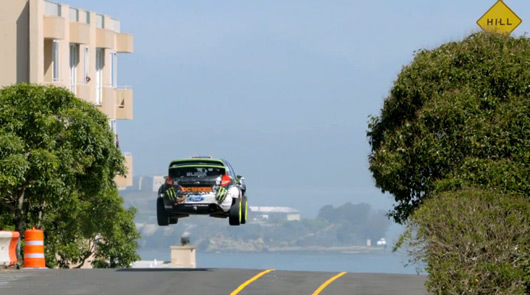 We all knew it was coming, and here it is – Ken Block’s latest (5th) hoontastic Gymkhana video presentation. 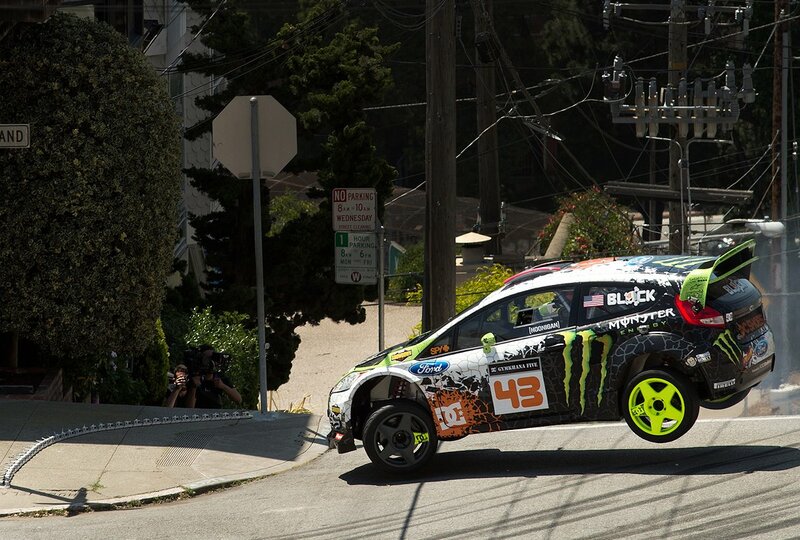 This time, the tire-shredding antics have landed him in hill-heaven: San Francisco. 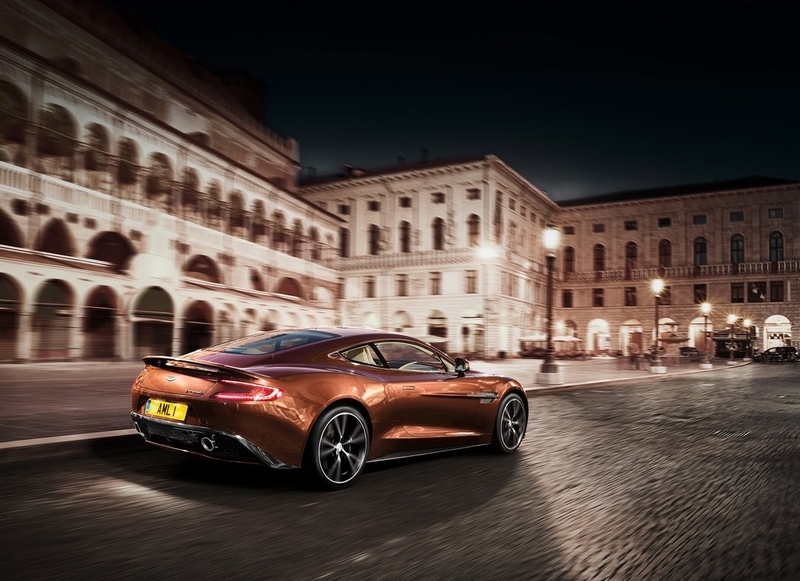 Other than the giggles-worthy driving on display, what impresses most is the number of road-closures granted for filming in such a busy city… well, that and the 650 bhp Ford Fiesta that will rocket to 60 mph in 1.8 seconds. Enjoy..! The Bay Bridge: Closed for the filming of this video – incredible. 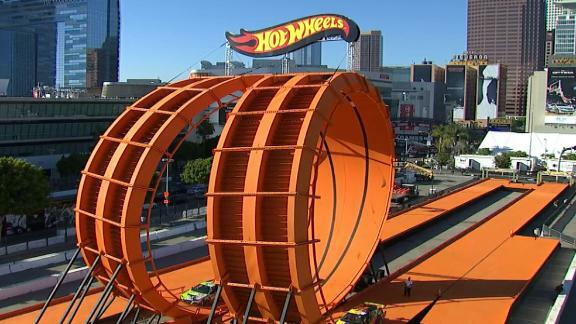 Video: Hot Wheels Loop-The-Loop – Full Scale..! Fairly certain I’m not in the minority here as having devoted a huge portion of my youth towards the collection, upkeep and fun-times associated with the wonderful world of Hot Wheels. 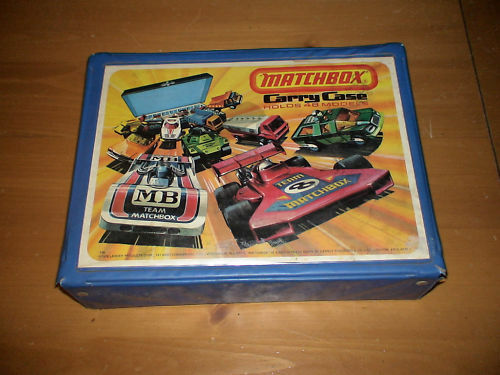 Eventually, I branched out into Matchbox cars (had the coveted carrying-case ‘briefcase’) and even Fast 111’s trickled onto the make-believe scene as well. I carted this around wherever I went… Important business inside..! Yet, with Hot Wheels (along with the endless deluge of click-track that constantly morphed and grew within our collection) there was always that one tricky bit of fun called the Loop-the-Loop – Enter too fast and your car would just fly off the edges. Enter too slow and your car would just roll right back towards you… Needless to say, it took a carefully judged weight and angle of attack coupled with the right amount of lead-up track in order to complete a successful (and clean) Loop-the-Loop. Enter the flamboyant X-Games held over this past weekend and here we have the full scale version driven by Greg Tracy (green car) and Tanner Foust (yellow car), complete with the requisite jump at the end… Enjoy..! The SCM (Speedometer Calibration Module) is an incredibly accurate digital speedometer recalibration controller that allows late-model electronic speedometers (those that use a pulsed signal input from a vehicle speed sensor) to be recalibrated for vehicle changes that affect the speedometer – namely changes to final drive gear ratio, wheel sizes and tire size. With many late model vehicles, there are no simple means for recalibrating the speedometer. 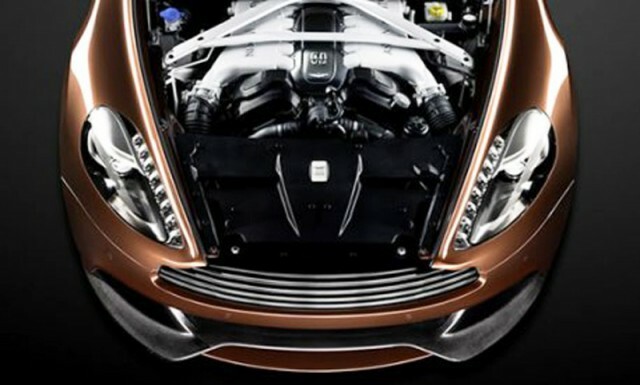 This is because the Powertrain Control Module (PCM) (sometimes called the Engine Control Computer) receives signals from the powertrain’s vehicle speed sensor and then sends digital or analog data to the speedometer. The only method for making speedometer corrections is to have the PCM reprogrammed with a custom speedometer recalibration. In many cases, reprogramming is expensive, if it can even be done at all. 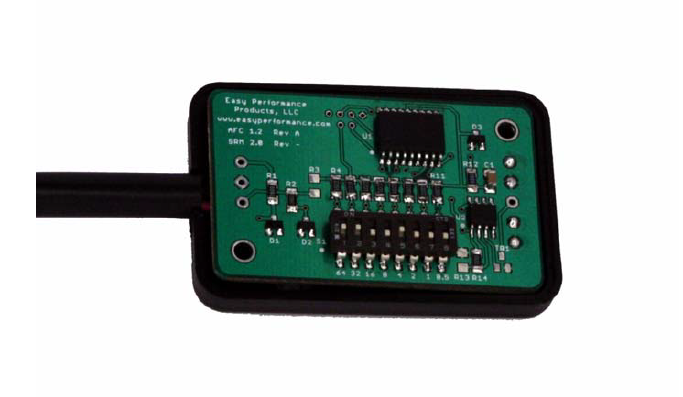 This SRC module interrupts the electrical signal sent to the PCM and modifies the signal based on the adjustment value set by the user. This device can increase or decrease the speedometer signal from 50 to 175% in ½% increments. A setting of 100% would have the unit in ‘pass through’ and no adjustment is made. The SCM incorporates an onboard microprocessor executing proprietary computations and program algorithms to achieve this recalibration. 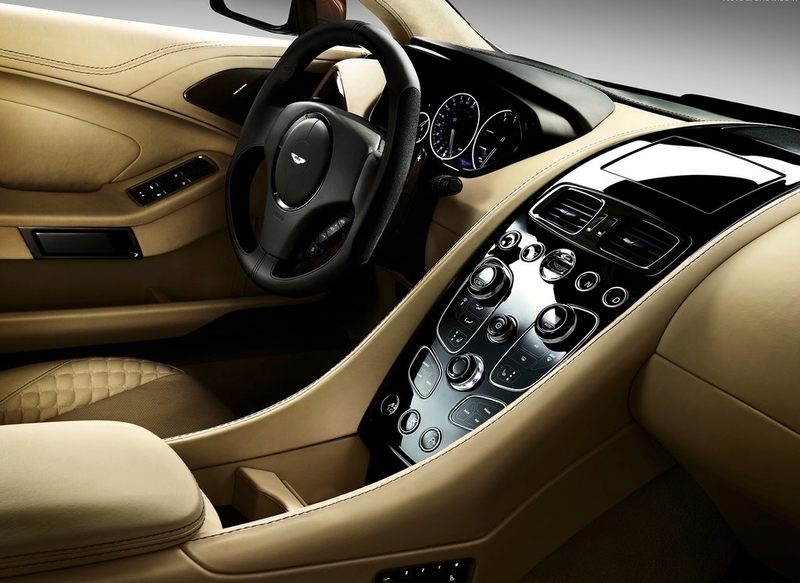 Installation is simple and is specific to make and model year. 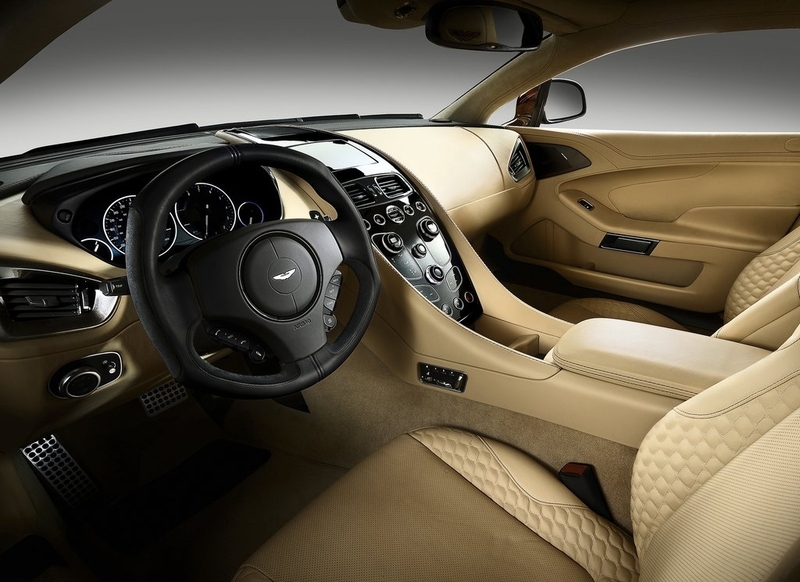 Regardless of the vehicle it is installed in, the SCM has four wires needing to be connected – 12 volt power, ground, signal in and signal out. Illustrations and clear explainations are given to assist with an installation-time that is typically 10 to 15 minutes. Interested in voluteering your expertise towards the development of upcoming Easy Performance products..? Click here to read about their Product Test Volunteer Program..! 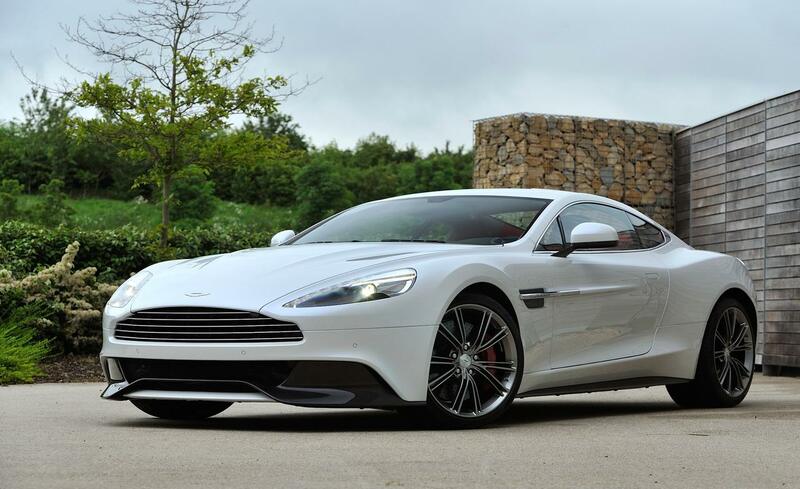 Aston Martin has released new details and photos of its forthcoming ‘Super GT’ car to replace the current DBS. 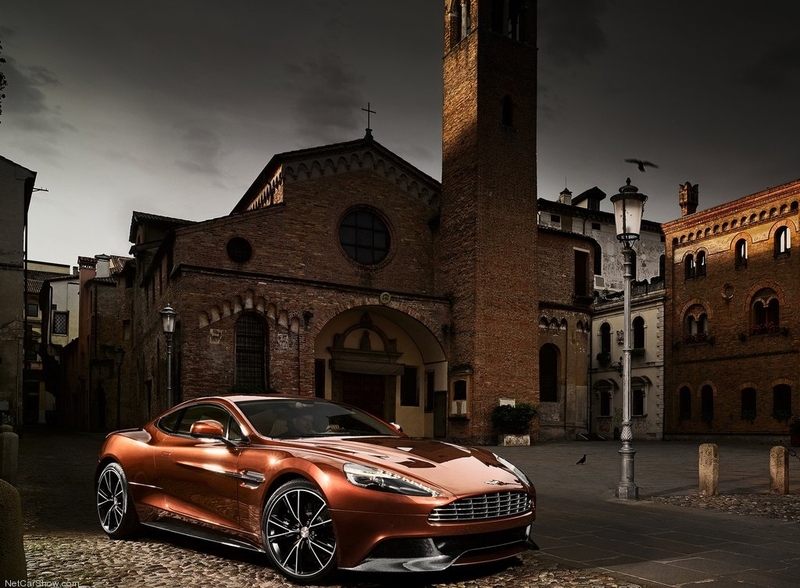 It’s called the Vanquish AM 310, and aside from that sounding like a snappy new radio station on the low-frequency band, the materials used to ‘broadcast’ (sorry) this largely face-lifted, One-77-inspired addition onto the DB9 family platform are anything but mono-toned – The entire body is now clothed in carbon-fibre. 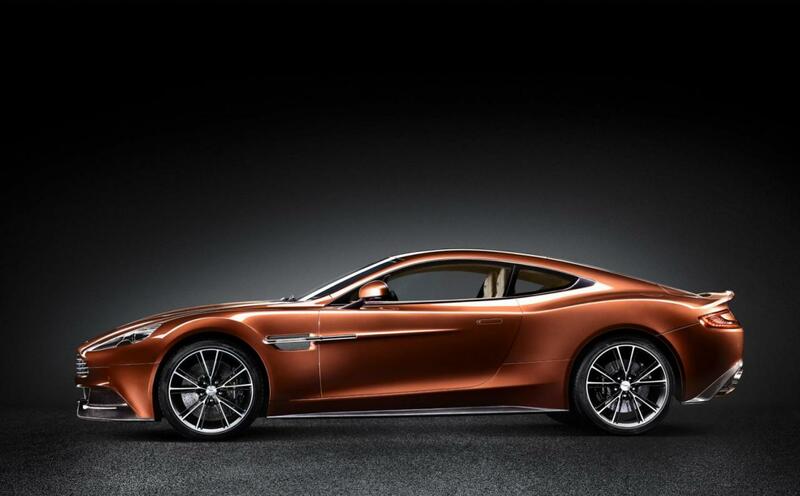 Keen eyes will also notice the beautifully-integrated rear spoiler and new wheels to go along with the more dramatic lines and pinches and bevy of creases that “represents the zenith of current Aston Martin design and engineering.” – according to the press release – which seems to signify that this is ‘the end’ of this current design language and that something anew is coming next year to mark Aston Martin’s centenary… ? Surely. 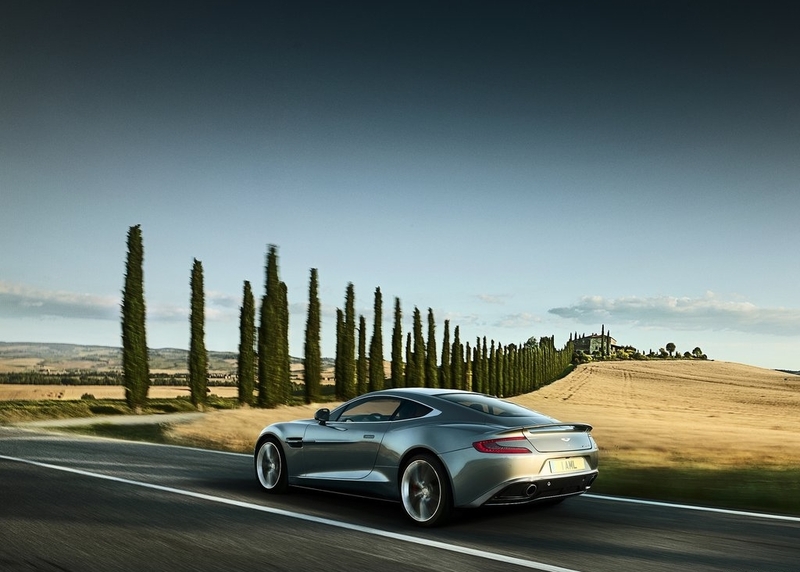 Full specs haven’t been released just yet, but the main headlines are that the 6.0L V12 has been uprated to deliver 573 bhp (up 56 bhp from the DBS’s 517 bhp) and an increased torque figure of 457 lb/ft up from a previous 420 lb/ft. 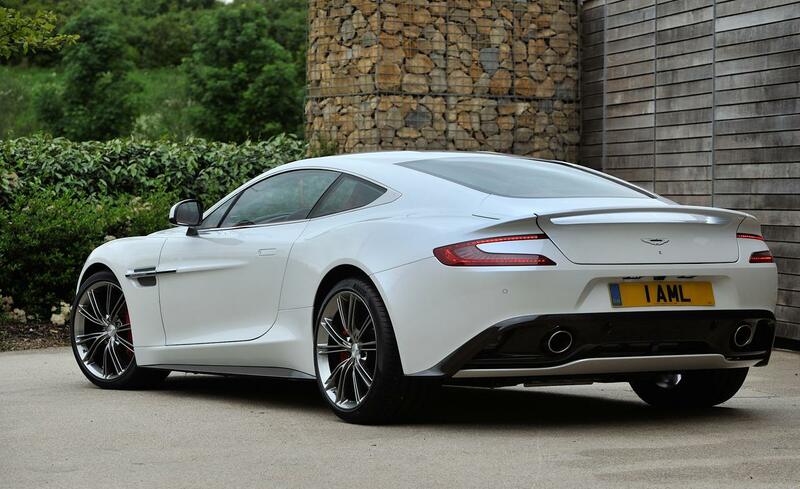 60 mph arrives just a couple of tenths quicker (irrelevant) than before and the AM 310 Vanquish will top out at 187 mph (again, mostly irrelevant). 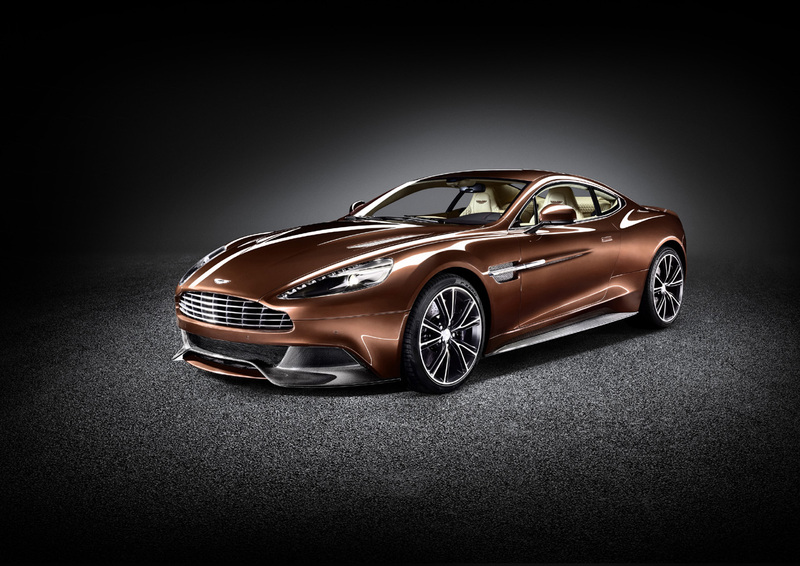 But then again, this is a GT car, so a quick-witted ZF-based Touchtronic system is more than adequate for handling those cross-Continental blasts across the earth. Speaking of GT pretensions, the ability to carry more within the luggage area of your AM 310 has increased as well – up to 60% more space than the out-going DBS – and therefore, ample room for your golf clubs… if that’s your motoring concern. 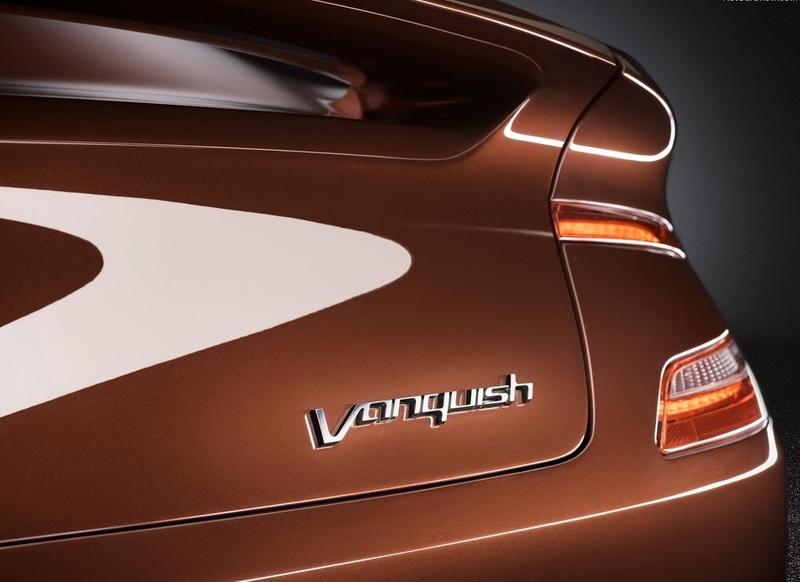 Expect deliveries of the Vanquish AM 310 to start at the end of this year with big plans awaiting on the horizon for the next generation of Aston Martins to come…! 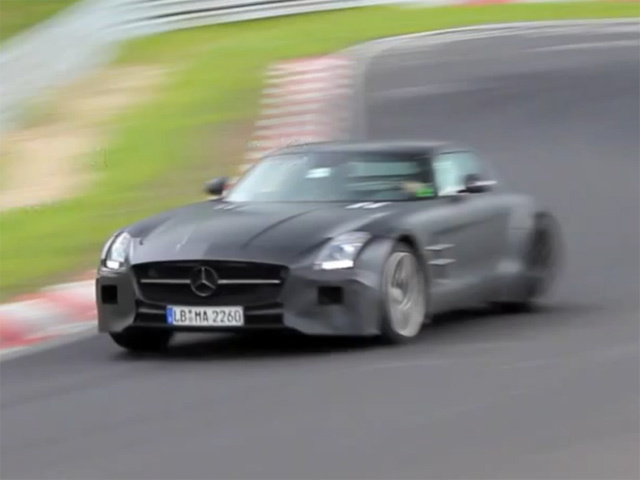 This was the sort of thing that was always lingering away in the ‘Inevitable’ files of modern Benz motoring ever since the God-of-Thunder SLS was bestowed upon the motoring landscape back in 2010 – an AMG ‘Black Series’ version of the gullwinged ‘bahn-stormer due in 2013. 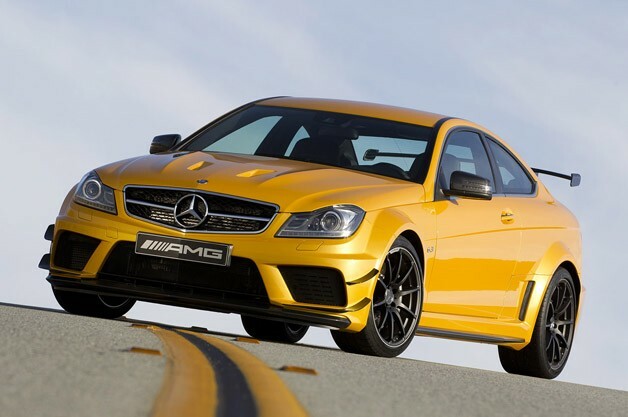 Aside from the obvious wheel-arch extensions to accomodate a slightly wider track (and wheels), the word on the street seems to be that this next AMG Black Edition will come embellished with close to (a faintly ridiculous) 650 bhp and an even-faster shifting version of the 7-speed DCT gearbox (same one used in the Ferrari 458). 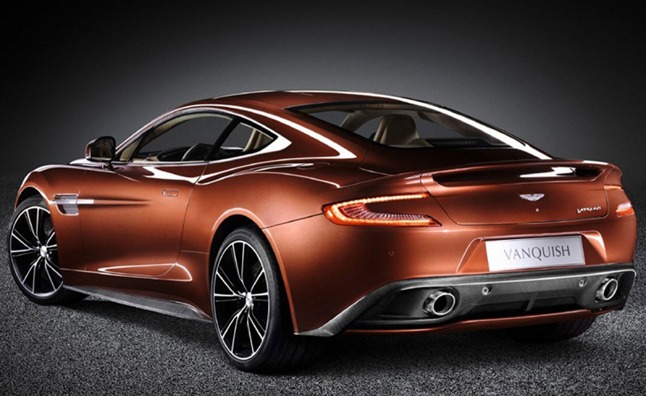 Shame that no proper manual transmission will ever be offered – think of how truly exciting that would be..! 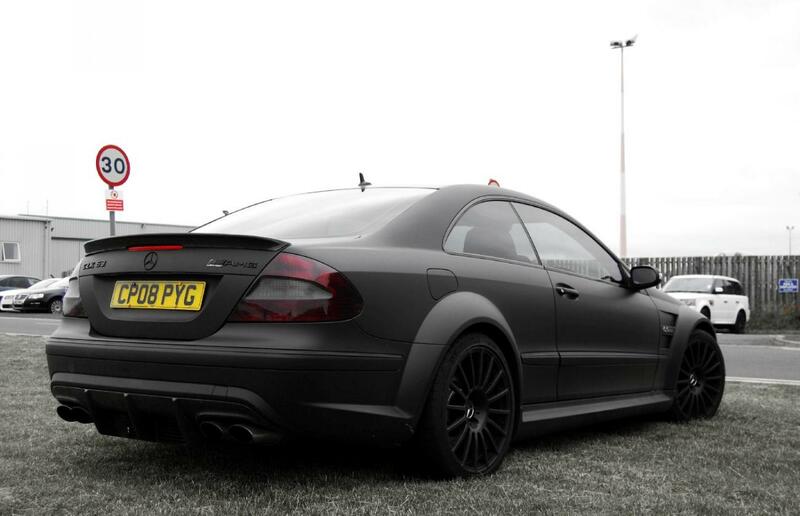 Hello AMG…?!? To be honest (and a bit nit-picky), I’m not entirely sold on the presenter’s abilities (or school-boy wardrobe selection) during this rare opportunity to ask some of the more pertinent and intriguing questions that could/should have been asked… but regardless, a great job by the cameraman/crew in capturing the interior aura and static mood of this near-otherworldly entitiy of McLaren.